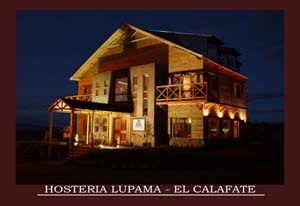 LUPAMA Inn is located at the entrance of the city on Libertador Avenue, major road in El Calafate. Apart from that, it is only 600 meters from downtown, 20 Kilometers from the International Airport and 80 kilometers from the Perito Moreno Glaciar and it has a privileged view to the Argentinian Lake, the Andes Range, the Calafate Mont and the picturesque tourist village of the city. 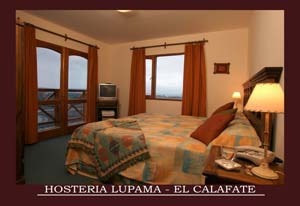 LUPAMA Inn offers a qualified bilingual staff, willing to provide personalized assistance and tourist information in order to make a better and warmer hospitality. Moreover, the hotel offers 24 hours room service, laundry and dry- cleaning service, board games, DVD films and musicals, courier and internet. 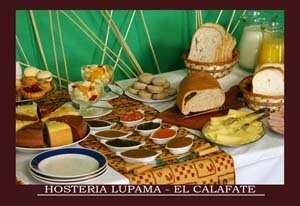 LUPAMA Inn also has Snack bar and Restaurant. Lunch boxes to carry on excursions are also available upon request. You may check out at any time before 10:00. 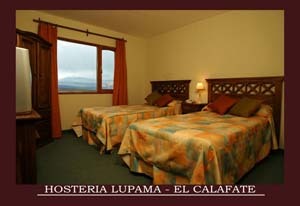 1 child up to 3 years are free of charge per room. Children above that age are considered as adults. 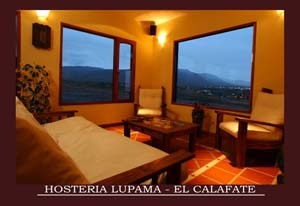 Cancellation is possible until any time of day 8 days prior to the check-in date without penalty.